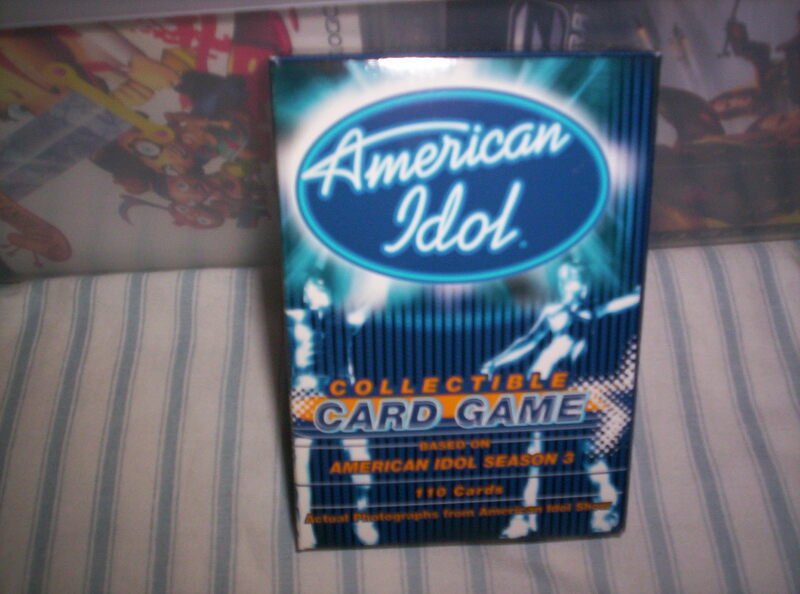 Did you know that there was an American Idol Card Game? Not only was I aware that an American Idol Card Game existed, I actually own a set of cards from this American Idol Card Game. The set of cards I have are based on Season 3 of American Idol, which was my favorite season of this TV show, and these cards have pictures of the judges and the singing contestants. 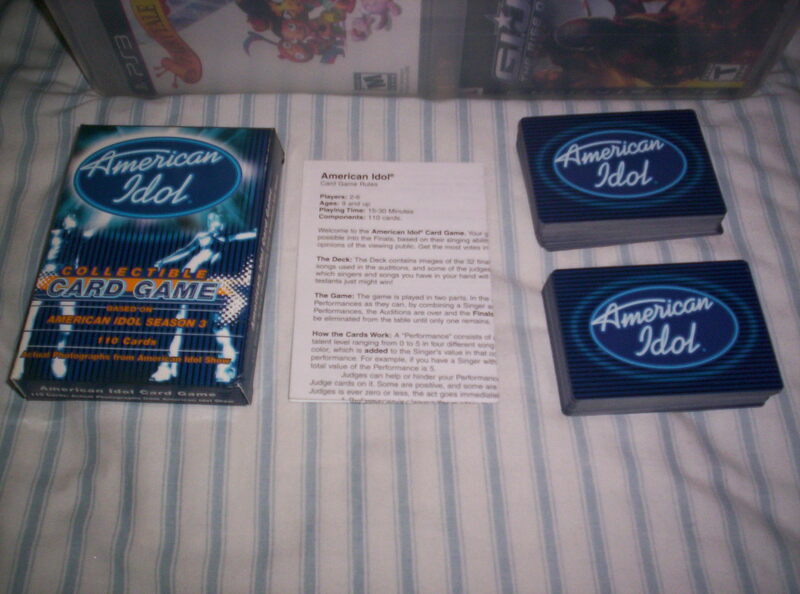 This American Idol Card Game includes 110 Playing Cards and a small white sheet with the rules and instructions on how to play the card game. According to back of the box, the card game is for 2-6 players, with an average playing time (per game) of 30 minutes or less. Unfortunately, I’ve never played this card game before, so I can’t tell you guys how it plays. I mainly just bought this card game to have memorabilia from my favorite season of American Idol. I don’t remember how much this set of cards cost, but I’m guessing it cost in the $5-$10 range. In my next blog post I’ll show you some pictures of the people on the cards, while telling you guys my memories of watching Season 3 of American Idol. 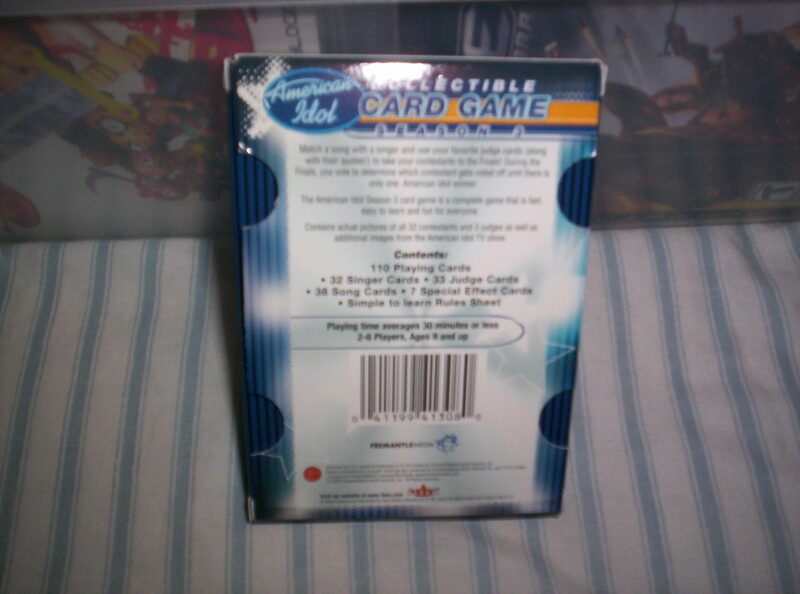 This entry was posted in Toys and tagged American Idol, American Idol Card Game, American Idol Season 3, American Idol Season 3 Card Game, Card Game, Embarrassing, Embarrassing Stuff, Embarrassing Stuff I have, Embarrassing Stuff I own. Bookmark the permalink.